ISEEN is governed by a Board of Directors and run by an Executive Director & Events Manager. If you are interested in learning more about becoming an ISEEN board member or volunteering in another capacity please fill out our application or contact us today! Shoshanna Sumka is a leader in global learning, community engagement, and student leadership development. 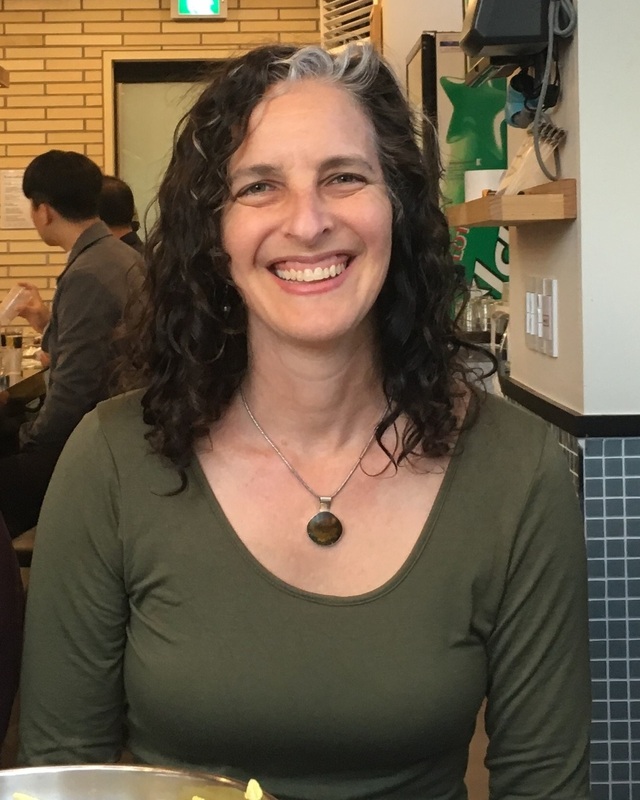 As the Executive Director (ED) of ISEEN, Shoshanna works to inspire and support experiential educators and connect lifelong learners through our inclusive network. Shoshanna’s two decades of professional experience include support for travel and outdoor education throughout the world. Most recently she worked at Sidwell Friends School in Washington, DC, where she coordinated global programs and community engagement, including service learning. In the past, she served as assistant director of global learning and leadership at American University, resident director of the University of Idaho’s International Programs Abroad in Quito, Ecuador, and board chair of Break Away, an organization that supports the development of active citizens and student leadership on college campuses. She is the author of numerous journal articles and two books: Working Side By Side: Creating Alternative Breaks as Catalysts for Global Learning, Student Leadership, and Social Change and Health and Safety for Secondary School Programs Abroad. Shoshanna lives in the Washington, DC area with her young daughter and partner. She has a B.A. and M.A. in anthropology and a background in global social justice. She loves world travel, practicing yoga, walks in the woods, and cooking hearty vegetarian meals. Her favorite places are Kenya, Haiti, Ecuador, the Shenandoah mountains, and the beaches of North Carolina. 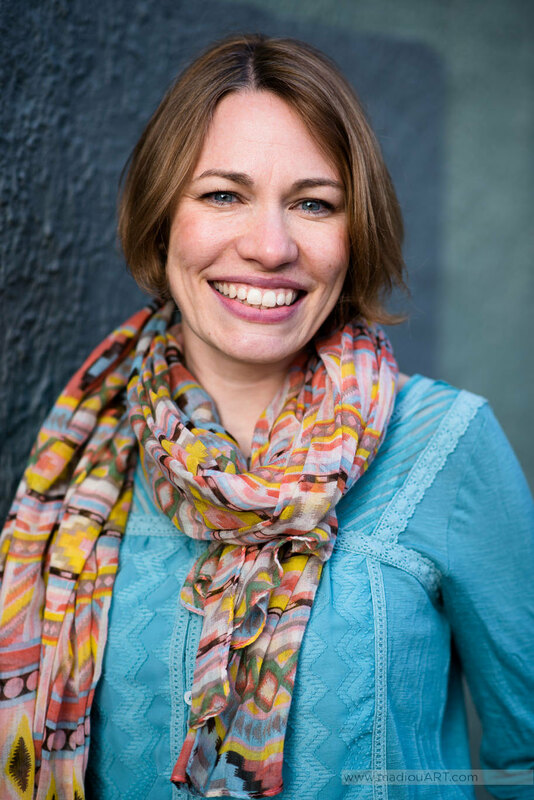 Elizabeth Doerr is a social justice and service-learning educator who brings her eye for detail and organizational skills to her role as ISEEN Events Manager. Over the last decade, she has worked in higher education service-learning programs. Most recently she was the Associate Director at Johns Hopkins University SOURCE (Student Outreach Resource Center)—the service-learning and community engagement center for the JHU health professional schools in Baltimore, MD. Prior to that, she was the Coordinator for the University of Maryland Alternative Breaks program. She has lived, worked, and traveled all over the world, spending two years as a community health Peace Corps Volunteer in Malawi, Southeastern Africa and studied abroad in Ecuador and Chile. These international experiences, along with her days as a camp counselor, brought about a passion for experiential learning, global engagement, and community work. Elizabeth is also a freelance writer and consultant who has published her journalism and essays in a variety of publications. Elizabeth has a B.A. in Rhetoric/Media Studies from Willamette University, an M.A. in International Education Policy from the University of Maryland, and an M.A. in writing from Johns Hopkins University. She lives in Portland, OR with her husband and son. A native of Seattle, Washington, Vicki has a B.A. from Bowdoin College and an M.Ed in International Education from the Harvard Graduate School of Education. Building on over 30 years of experience in teaching, leadership, advising, service learning and program design, as well as community connections in more than 30 countries, Vicki Weeks helps schools and organizations expand their thinking, programs, and practice through her company Global Weeks. Her experience at Lakeside School, where she created and developed one of the most comprehensive global service-learning programs in the country, reinforced her commitment to teamwork, collaboration, and big-picture thinking as well as the practical applications of that process: leading to actual programs for real people in specific places. Her programs and practices are designed to develop global leaders and to align with new and existing curriculum. 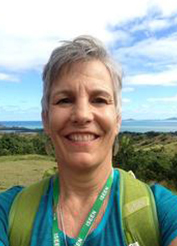 Vicki maintains both broad and deep connections in the educational world through the board and advisory roles in the Independent Schools Experiential Education Network, Global Education Benchmark Group, Kuska School, and Awamaki. Vicki was a member of the ISEEN board from 2010-2013 and then rejoined the board in 2015. Charlie Noyes began his teaching career in 1986 at The Hotchkiss School in Lakeville, CT, where he currently manages various aspects of the developing farm program and teaches visual art. He earned a B.A. in English from Middlebury College and an M.A. in art education from RISD. Past roles and responsibilities at Hotchkiss include art department chair and art gallery co-director. 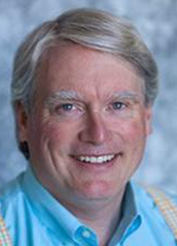 He also served as director of the Beginning Teachers Institute (BTI) for the Connecticut Association of Independent Schools from 1990-2007. In 2008 he developed and implemented a two-season afternoon co-curricular program to support a very nascent Hotchkiss farming initiative. These days, in addition to strengthening this co-curricular farm program, he is working to develop substantive, experientially-driven farm based coursework in his half-time role as Farm Curriculum Coordinator. In addition to teaching, he is a painter and illustrator. He also pursues interests in music, carpentry and all things out of doors. He lives off campus with his wife Karin, also an artist. They have three grown children and four grandchildren (so far). Charlie joined the ISEEN board in 2014. Boota has been the CFO at Episcopal High School since July 2005 where he is responsible for the Business Office, Facilities, Security, Technology and Food Service. He also has taught Entrepreneurial Studies for the past four years. Other responsibilities include Advisor to freshmen boys and member of the School’s Leadership Team. Prior to joining Episcopal, Boota worked for several corporations, domestically and internationally in the for-profit sector for over 20 years. His work experience has ranged from sales and marketing to general management and CEO of a privately owned manufacturing company and a consumer product company. Boota served on the EHS board of Trustees from 2000 through 2005. He is a graduate of Episcopal High School. He received is A.B. in History from Princeton University and his MBA from the Darden Graduate School of Business Administration at the University of Virginia. He and his wife Shelley have three grown children. Percy Abram is the head of The Bush School. The Bush School is a Kindergarten through Twelfth Grade independent school in Seattle. Prior to joining Bush, I was the head of Gateway School in Santa Cruz. An LA native, I finished high school in San Francisco’s East Bay. I received my B.A. (Economics) and M.A. (Education) degrees from UCLA and received an M.A. (Sociology) and Ph.D. in Education from Stanford University. I committed to fostering and promoting vibrant experiential experiences at Bush and ensuring that issues of equity, diversity and social justice are a core part of their experience. I have lived in Seattle for four years, and love exploring the cities, people and beautiful outdoors of the Pacific Northwest. When I am not working, I enjoy running, reading, and spending time with my wife and two children on the sidelines of their athletic endeavors. Shelly currently works as the Team Development Coordinator with the Chewonki Foundation in Wiscasset, Maine. This position helps foster growth, collaboration, and inclusivity across all Chewonki programs including the Elementary School, Semester School, local schools initiative (Outdoor Classroom), and Summer Programs. 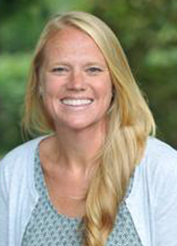 Shelly grew up in Lancaster, Pennsylvania and holds dual Bachelor of Arts degrees from Penn State University in Psychology and Philosophy and received her post-graduate diploma in Outdoor Education at the University of Edinburgh in Scotland. Shelly shares her love of city life in Portland, ME with the beaches and mountains of New England; skiing, kayaking, backpacking, or playing with friends. Living in Maine truly is 'the way life should be'! Shelly joined the ISEEN board in 2016. As the Director of School Partnerships for Where There Be Dragons, Simon works with independent schools and colleges throughout the U.S. and Canada to provide professional development training, consulting, and collaborative student programming in intercultural experiential education. Having grown up in a subsistence farming lifestyle on the South Shore of Lake Superior, Simon spent his high school years in Puebla, Mexico, and Taipei, Taiwan, where he graduated from the Taipei American School. At Carleton College, he received grants to conduct field-work in remote forest societies of Cameroon and Guatemala focusing on human-nature relationships that led to work in Costa Rica establishing farm-based experiential education programs focused on cultural ecology. 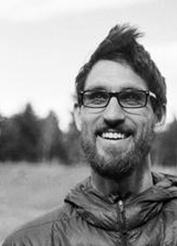 Simon is a bass player, urban homesteader, an avid cyclist who has spent the past ten years developing experiential international programming, professional trainings, and innovative curriculum that engages participants in intimate relationships with the unknown. Simon joined the ISEEN board in 2015. 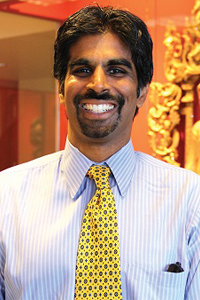 Chai Reddy is the Director of Punahou School's Wo International School in Honolulu, Hawaii. He was born and raised in Oklahoma and earned his B.A. in History from Lake Forest College (IL). Chai spent a year as a Math & Science teaching intern at the Haverford School (PA) before moving to Hawken School (OH) where he taught History, Humanities, coached, served on a number of student and faculty committees, and earned his M.A. in Humanities from John Carroll University. Chai moved to Punahou School in 2006 where he has taught Social Studies, coached football and basketball, and oversaw the start and growth of a number of global education programs such as the Student Global Leadership Institute. 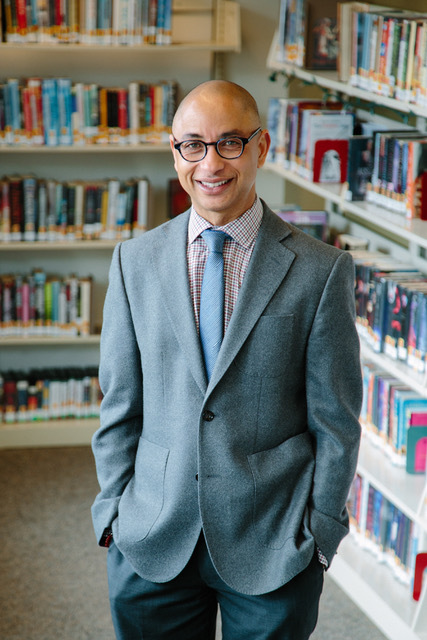 As the Wo International Center Director, he oversees Punahou's diverse global education programming and has expanded that role to include a greater focus on issues related to equity, inclusion, and social justice. Emphasizing a local understanding, sense of place, and identity, before one moves out to the broader world, is a major focus of the Wo International Center's programs. Chai will finish his Ed.D. from Creighton University in Leadership Studies in early 2019, which will make his wife and son (born in April 2018) very happy. Chai joined the ISEEN board in 2019. Anne Stavney is the Head of School at The Blake School – an independent PK-12 coed day school with a national reputation for academic excellence located on three campuses in the Minneapolis area. 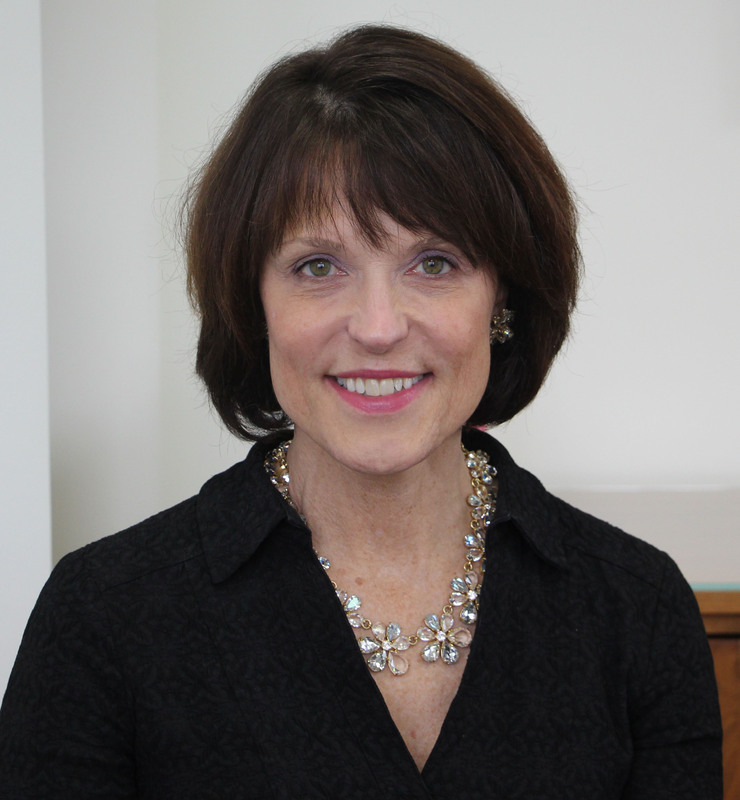 Anne began her position as Blake’s Head of School in July 2012. Under Anne’s leadership and guidance, Blake has revisioned its global education emphasis, its global immersion programs and its local and global service learning opportunities. Additionally, professional development among the faculty and administrators has focused intensely on learning and teaching about intercultural and global competence. After graduating from Lakeside School in Seattle, Anne attended Smith College where she received her B.A. in government. She received her second B.A. as well as her M.A. and Ph.D. in English from the University of Washington. Anne taught in the fields of American literature, African American literature, and gender studies at the University of Washington and the University of Tulsa. Prior to coming to Blake, Anne taught English at Lakeside School and served as Upper School English Department Chair, Assistant Head of School and Middle School Director. Anne, her husband Dan Gunter and their 10-year old daughter, Grace, live in Minneapolis. The family enjoys sailing, kayaking and exploring the 10,000 lakes and rivers of Minnesota.